This function is similar to the regular PHP function - trigger_error(). Returns the application initialization status. The Application instance is initialized once by the framework loader at startup. Returns the application running status. 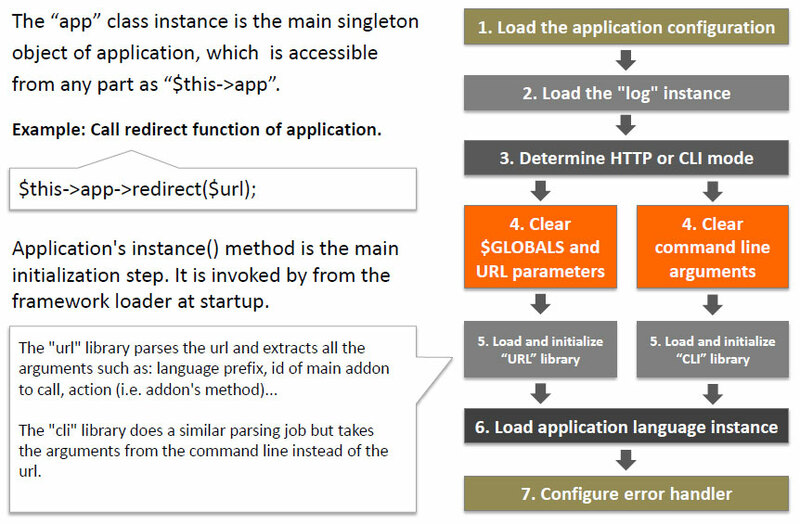 The framework loader, after initializing the application instance, invokes the application's run() method once. It may not be called a second time from anywhere in the application. The application run() method will in turn initialize the main addon. There is a difference between HTTP and CLI modes in the way they run.